Understanding Fasting — Sozo Group, Inc.
Excerpts from the book "The Power and Purpose of Prayer" written by Dr. Myles Munroe. Publisher Whitaker House granted me permission to this reproduce content. · Should every believer fast? · Is there any virtue in fasting? · How does fasting add to our prayers lives? 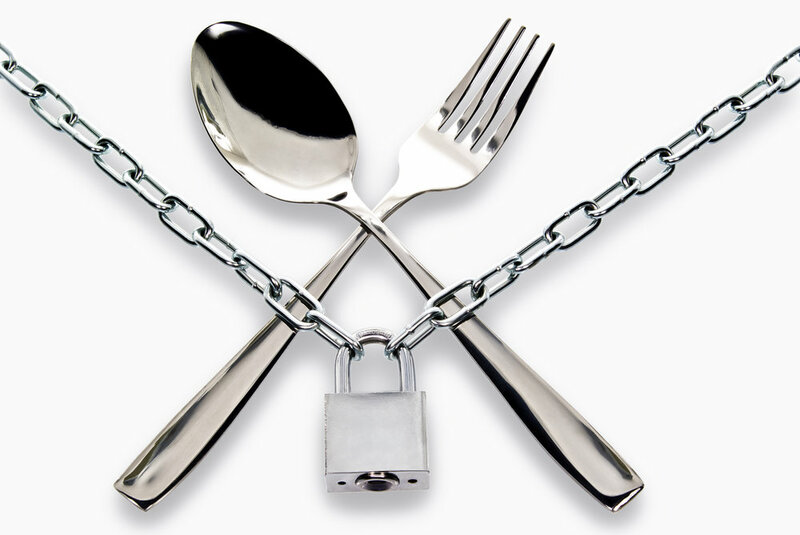 · Does fasting mean simply to abstain from food? · When are we to fast? · Can a person fast and not pray? · What is the spiritual significance of fasting? Prayer and fasting are equal parts of a single ministry. In Matthew 6:5-6, Jesus said, “When you pray…” (Notice He didn’t say IF you pray.) In the same passage, He said, “When you fast…” (vv.16-17) Therefore, just as prayer is not optional, either is fasting. It’s a natural expectation of God for His people. Christ is saying, “If you love me, you will fast.” There are times when the Holy Spirit will prompt you to fast individually or as groups and God will supernaturally give them the will. Yet, the majority of the time, fasting is an act of faith and a choice of our own wills. It is a decision we make out of obedience to Christ. Even if we want to eat, we temporarily choose not to eat…because of our love for Him. It requires you to focus all your attention on Him alone – not His gift or blessings, but just on Him. It shows God how much you love and appreciate Him. In a way, fasting is a point of intimacy with God. God will reveal Himself only to people that want to know Him. He says, “You will seek me and find me when you seek me with all of you heart.” (Jer. 29:13). When you fast, it means that you want to be with God more than other people, that you want Him more than your business or your busy-ness. Your fasting shows God He is first in your life. It is a purposeful commitment to Him. Fasting means God alone is Who you want. You don’t want what man has to give you; because you want Him. It’s NOT a matter of trying to get something from God. That’s because, when you find God Himself, you will discover that everything you need comes with Him. Fasting is a time to foster a sensitive environment for the working or prayer. Whenever you read about fasting in the Bible, it always has the word prayer coupled with it. In the Old Testament, people fasted in conjunction with whole-hearted prayer in times of mourning and repentance. It was also used as point of deliverance from various situations. Often, when the enemy was challenging the people of God, the Israelites would commit themselves to several days of fasting. The would say, in effect, “We will fast until the Lord tells us what to do.” The Lord would respond and give them a strategy, and they would win the battle. Therefore, fasting adds to our prayers the right environment for God’s work to happen. It enables us to see the fulfillment of God’s Word and purposes for us as individuals and as the body of Christ. It’s a form of intercession for other people who have needs, whether it’s a national problem or a personal family situation. They fasted to bring God into their circumstances. Those that fast also benefit from the obedience of fasting. However, the main purpose of fasting is really to benefit others. Fasting goes beyond just praying, because sometimes our prayers can be very selfish. We often pray for our own wants and needs. Fasting takes prayer into a completely different realm. For example, when Jesus was about to begin His ministry, the price He had to pay was 40 days and nights of fasting (Luke 4:1-2). He needed to consecrate Himself for the difficult task of fulfilling God’s purpose of redeeming the whole world. Also, right before Jesus chose His twelve disciples, He spent the night in prayer (Luke 6:12-16). Right before His crucifixion, He prayed on behalf of those whom God had given Him and for those that would believe in Him through the disciples’ testimony (John 17:6-26). What was Jesus’ motivation for fasting and praying? It was for the sake of His disciples and for believers down through the ages who would place their faith in Him. We fast for other people’s benefit! Jesus was not fasting for His own benefit. We need to understand the value and significance of emptying ourselves of food and filling ourselves with God. Fasting enables us to increase our spiritual capacity. It exerts discipline over our physical appetites. It brings the body under subjection to what the spirit desires. We are spirits, but we live in bodies. Most of the time, our bodies control us. When you fast, your spirit increases its control over your body. Fasting enables you to discipline your body so that your body becomes a servant of the Lord, rather than the master of your spirit. Your body begins to obey your spirit rather than its own impulses and habits. Fasting does not change God, it changes us, and it transforms our prayers. We don’t realize the power that flows from fasting. Fasting allows us to receive guidance, wisdom, instruction, and knowledge from God. When Moses went up on Mount Sinai, he was seeking God’s will for the Israelites and then God took him on a 40 day fast. At the end of this fast, God gave him a powerful revelation – the Law, with its Ten Commandments – which many nations have used for the foundations of their societies. All of our penal codes are a result of the Law that Moses received during his 40 day fast. That’s how powerful his fast was! When you fast, God is going to speak to you. You are going to receive revelation from Him that you couldn’t receive otherwise. When fasting, the time you spend on meals is now spent in prayer and Bible Study, so that you can hear what God wants to say to you. It’s amazing how many hours a day are normally spent on food. When you fast, all that time becomes available for you to seek God. God has always desired that time with you. Fasting enables us to receive the fullness of His power for ministry. Sometimes prayer alone is not enough to accomplish God’s purposes. The Bible tells of a man whose son was demon possessed but the disciples couldn’t cast him out and the demon was laughing at them. They pulled Jesus aside to ask Him why. His answer was, “This kind come out but only by prayer and fasting.” (Matt. 17:21) Christ could cast out demons because He had just spent 40 days preparing Himself for ministry in the desert through prayer and fasting, and because He continued to pray and fast on a regular basis. If you fill up on food, then you are less interested in looking at the Word and praying. The flesh gets in the way of the anointing. I’m blown away to discover that sometimes….prayer isn’t always enough, sometimes you need to add something ELSE into your prayers: a spirit of consecration to God and the abstinence from what can INTERFERE with the flow of God’s power in your life. Whoa. While Jesus (and us) were filled with the Holy Spirit…. by fasting the Spirit is MANIFESTED with new power. During times where Jesus fasted, God gave Him the Spirit WITHOUT MEASURE. A FAST WILL IGNITE THE POWER IN YOU. I guess I did not realize this. When you fast, you will develop a deeper hunger for God as well as intimacy with Him, and the work of the Holy Spirit will be powerfully manifested in your life. Your love for the Father will be renewed. It will be a joy for you to witness to others about God’s love and peace. You’ll be able to serve God in ways that you never expected. But remember…one of the first things Jesus encountered was a demon-possessed man. When we fast, God will send you some difficult problems because you will be ready to handle them now through His Spirit. There are people whole God wants you to minister to, but they have not yet crossed your path because YOU are not yet equipped to help them. Fasting helps prepare you for ministry! Fasting often brings breakthroughs in difficult circumstances or in the lives of those who are resistant to the Gospel. In Joel 1:12-14, God gives us the solution to a terribly depressing piece of scripture… He says “Declare a holy fast.” Likewise, when things are tough, when you aren’t experiencing a breakthrough, or nothing seems to be happening in your life…God’s saying, “Stop everything and consecrate yourself. Come to Me.” Joel 2:12-32 tells us the result of the fast by reassuring us that something good is going to happen now. (To start making some noise because I am about to break forth!) In this SAME CHAPTER, God then prophesied about pouring His Spirit on all people in the end times. (vv. 28-29, Acts 2:16-18) The results of sincere fasting and prayer is that God responds - bringing deliverance and blessing. We fast to “pay a price” for someone or something. Fasting takes you deeper. You are essentially saying, “Father, I consecrate myself. I’m setting myself apart for this situation. When you “pay the price” by praying and fasting, God responds. When we consecrate ourselves, we must not hinder our effectiveness in fasting – it must be done in the right spirit. Isaiah 58 tells us the right and wrong ways to fast. How can God answer our prayers if our attitude is to do what we please? This is no game. You are either fasting or you’re on some kind of diet. We have to set ourselves apart and seek Him rather than our own interests. Isaiah 58 says that the fast that God IS PLEASED WITH has the power to break the chains of injustice and destroy the yokes of the oppressed. God’s anointing can deliver people from their burdens. The anointing comes from commitment to God. A true fast will cause you to understand and value the truly important things in life. You’ll become a giver. You will begin to love people and want to meet their needs. You will have a burden for souls. The outcome of this type of fast is also stated in Isaiah 58: “Your people will rebuild the ancient ruins and will raise up the age-old foundations; you will be called Repairer of Broken Walls, Restorer of Streets with Dwellings.” People’s lives will be restored to God and you will also receive blessings! God will protect us from traps. When you fast, you are setting yourself up for answered prayer. God promises that if you fast in the right way, He will hear and answer you. He’ll answer you because when fasting, You’ll be more open to Him. My spiritual capacity to hear and receive is increased. I will be empty of my own interests and ready for Him to fill me.